One of the enduring issues in the science of psychology is nature versus nurture. Is a person’s behavior, at least in part, motivated by the person’s nature, that is, genetic factors; or by nurture, that is, environmental factors? To answer this question, psychologists have employed twin studies. Here identical twins that are separated at birth and raised in different environments are examined and their similarities and differences compared. This is a logical process as one factor is controlled (genes, in that identical twins share the same genotype), but the other factor is not (environment). Any apparent differences in the personalities and other developmental traits of these long separated twins could logically be attributed to environmental factors. That is, the “great and abominable church” removed from the Bible “many plain and precious things.” And this concern with the Biblical text is more than simply the removal of “plain and precious things.” Mormon Apostle Bruce R. McConkie teaches that there are a great many other problems as the “Bible abounds in errors and mistranslations” (The Bible, A Sealed Book – supplement, A Symposium on the New Testament, 1984). Even more, that these errors and mistranslations exist in both the Old and New Testaments (ibid.). So what are these “errors and mistranslations,” and what “plain and precious” things have been removed? And that is the problem: no one seems to know. As far as this author can determine there are no concise LDS writings that identify these errors. That is in and of itself seriously suspect, as the Mormon Church cannot discern its own canon. Even more, the logic of refuting the integrity of the Bible without demonstrating (even knowing) how is a negative proof and a logical fallacy. But that is a topic for a later discussion. Still, is there a way to determine what changes might have occurred during the time of the Great Apostasy? Sure, a twin study. Take two identical twins (who share the same genes), but who were separated and raised apart. Any differences between them would surely be caused by environmental factors. And the twins I have in mind are the Hebrew Bible and the Christian Old Testament. 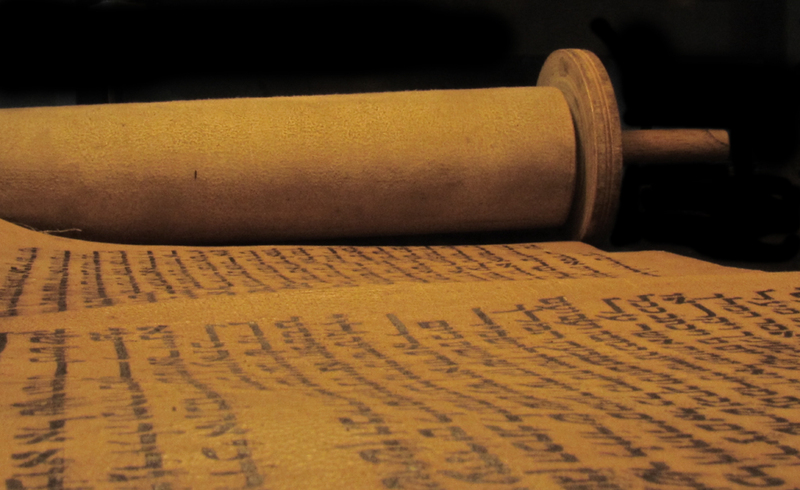 The Jews of Jesus’ day and the early Christian Church shared the same scriptures. Of course, in time the writings that came out of that first century Christian experience would become normalized into a second canon and would be called the New Testament. Judaism continued with the scriptures it had and down a road from which the early Christian believers would later diverge. And the church was born. And the two monotheist groups, though sharing origins, would become quite different in theology, in doctrine, and in practice. When a preliminary comparison of the two texts is begun, obvious differences quickly become apparent. The Hebrew Bible (or Tanakh) and the Old Testament often arrange the books in different order and the Christian version separates many of specific books in the Tanakh into two parts, e.g. Chronicles, Samuel, Kings, etc. But when we compensate for this and finally conduct a verse-by-verse comparison of the two texts we discover…nothing. Really, nothing. The texts are the same – a few minor word changes here and there, but barely enough to add up to a fraction of a fraction. For the fact that these two versions spent the past two millennia in different environments attests to the singular determination of both religious groups toward maintaining the integrity of their texts. What about the New Testament? Can a twin study be conducted with this uniquely Christian text? Yes, definitively. But that, too, would require an additional article. Instead, let’s return to our original narrative: why the lack of trust of the Bible by the LDS Church? This discomfort of the LDS Church is not based in facts, as demonstrated above, but simply by Mormon convention. By casting suspicion on the Scriptures of the “other” Christian sects – Catholics and Protestants – the LDS Church both increases its sense of distinction (the “Restored Church”) and its authority over its adherents. Evidently only the leaders of the LDS Church somehow know authoritatively that the Bible has become corrupted over the course of many hundreds of years. But since they cannot demonstrate how this is, Mormons are going to have to take that on faith. This entry was posted in Bible, Early Christianity and tagged Bible, biblical reliability, Church of Jesus Christ of Latter-day Saints, Mormon Church, Mormonism, Mormons. Bookmark the permalink. 1. the claim of the great apostasy after the death of the apostles resulting in the gospel disappearing and needing restoration. 2. the corruption of the Biblical text. 3. the “burning in the bosom” experience which is suppose to be a feeling sent from God asserting the truth of the BoM. Then throw in all of Joseph Smith’s claims of mystical experiences and the appearance to him of a variety of spirit beings and you have the fuel to drive the claims. The experiences he reported are suppose to give legitimacy to the legs of the stool. Interestingly enough, with very little time and effort, a Mormon could disprove most of what makes up Mormonism. But why bother? Many like it. It provides a structure, meaning and purpose in their lives. For many there is a sense of being special for being in the “one true church”. The priesthood gives a nice ego boast to the men with status in the group. Some of these folks continue in the group long after they’ve sawed off all three legs of the stool. Now here’s an interesting fun fact. Compare and contrast those who leave Mormonism based on their reading and study of the Bible and those who leave because they figure out the claims of Mormonism are totally bogus. There can be a combination of the two things but I’d venture to guess that those who lean heavily on the Bible come to put their faith in Christ while those who make the discovery of the bogus(ness) of Mormonism a part from the study of the Bible become atheist. …………then we have the problem of who these Mormon folks get their information from. They are taught to follow the leaders they will never lead you astray and once the leaders have spoken the thinking has been done. Talk about indoctrination. Added to this is the fear that is placed in the hearts of the faithful that if they ask questions or seek answers that might not line-up with conventional Mormon thinking, they are being deceived by Satan. That’s the big BOO use to scare the Mormon away from seeking answers. But the facts, evidence and the witness of history doesn’t support the claims of Mormonism. In fact, what we see is that the followers have to torture the Scriptures and invent all sorts of fantasy based explanations to try and counter the evidence that unravels Mormonism. The mind-set and thinking processes of the true believer is a major part of the problem. Mormons can be characterized as to “type”. Those folks who have come to be known as “chapel Mormons” are those simple sincere folks who just believe it all and this includes all of the Mormon urban legends that are used to indoctrinate the followers. Another part of the process is to get the followers to “feel” positive emotions and connect those emotions to “feeling the spirit”. When desire to believe something is coupled with strong emotions, the hook is set. So the article posted above is excellent. I often wonder which type of Mormon will such an article cause to stop, think and consider that just maybe what they’ve come to believe in with all of their hearts, just isn’t true. That’s a major step. Anyone know what Mormons believe drove those who removed the plain and simple things from the Bible? The only real reason why Joseph Smith claimed that the Bible was altered and thus not sufficient to deliver the gospel of salvation was he had to tell people that yarn in order to make room for his new church / revelations . It afforded him the best way to cleverly convince people that they needed him as God’s mouthpiece and salvation . Sadly, people bought his claims of authority . Unfortunately, it’s not as easy as simply saying that Joseph Smith was a con artist and all his followers dumb rubes. 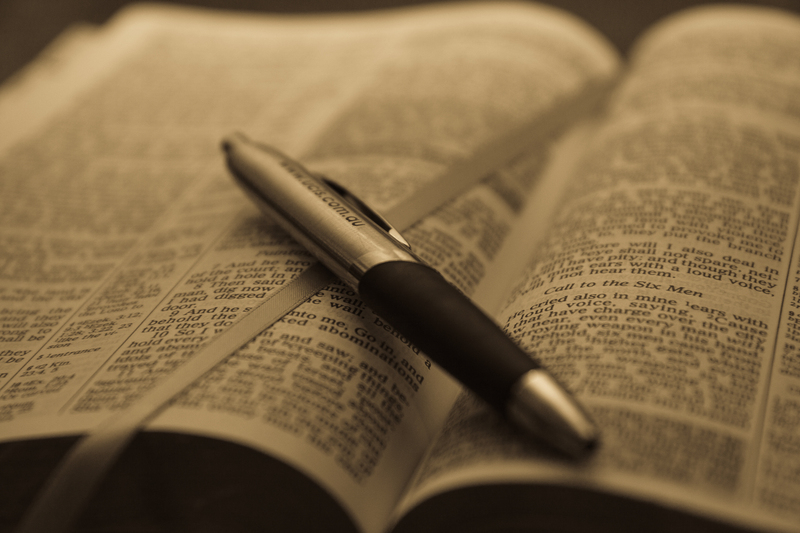 Quite to the contrary, it’s fairly evident that Joseph believed what he was teaching (even when it contradicted what he had sad previously…), and some of his followers were pretty bright people. There is a solid base of anti-religious fervor among Joseph and his followers. They distrusted Catholics and Protestants alike for a variety of reasons. Joseph Smith was something fresh, and they bought it. Look at the Mormons today. They’re not idiots. They run a fine university. Most of the leaders are well-educated. They have simply bought into a different strain of religion. As you’ve mentioned, they will eventually discover the error of their ways (hopefully). For those who turn to Christianity, fine. For those flirting with atheism or agnosticism, this is for you: Be very careful not to throw the baby out with the bath water! The paramount problem the LDS face – apart from all the doctrinal mistakes they’ve made – arises from their foundational belief that they are guided not by the Bible, but by prophets who commune daily with God. This implies that the prophets will not make mistakes because God is constantly prompting them. Therefore, if LDS prophets contradict each other or make a mistake, it must mean that either (a) one or more of the prophets is ignoring God or (b) they aren’t prophets after all. Either of these facts spells disaster for the Mormon Church. The only way the Mormon leaders can prevent this from happening is to avoid making any mistakes (which they haven’t been able to accomplish) or to hide those mistakes. Up until the advent of the Internet LDS leaders had been reasonably successful in hiding these mistakes by counseling the LDS faithful to avoid critical books and news reports, and to keep busy – extraordinarily busy – in Church activities. The Internet, though, was a game changer and it still is. Now Mormons can find the truth with the click of a keyboard key. The Church has had to deal with this issue. Some leaders have suggested that honesty — or at least some honesty — is the best policy, and the recent Gospel Topics Essays are evidence that those leaders have been influential. Others have advised that a crackdown on dissent is the answer, and recent excommunications and stern counsel from the pulpit show their influence. The bottom line, however, is that candor only reveals more flaws in the Mormon Church and will prove self-destructive. LDS leaders will realize this eventually and will crack down on dissent even more. Those Gospel Topics Essays will either be altered or deleted. Most of Smith’s early followers were his family and close neighbors. These were the people who ran about the countryside at night searching for buried treasure that Smith claimed he could locate by looking into the ground with his magic rock. Dumb? Rubes? Well whatever but these folks weren’t looked upon with great favor by the town’s people. Smith was even hauled into court for conning people with his “glass looking”. Also we have to look at the historical context of the times. The area Smith came from was called the “burnt over” area because of all of the revivals. Unfortunately, what we often see with revivals is bad along with the good. Smith’s experimental religion was part of the bad. I’m sure the folks who teach and run BYU are IQ smart but there are a lot of different “smarts”. Following Smith is not a real smart thing to do. Its end is destruction as the Bible tells us regarding those who follow and teach a false doctrine. I do try to stay away from using the term “cult” when writing about groups like the LDS, BUT sometimes I think it’s a good label to apply to this sect. I responded above to the idea of “con men” and “dumb” people who are duped by them. So when talking about “dumb” in this context what do I mean? Are we talking about intellectual horsepower/IQ? All sorts of really smart people join cults like Scientology for example. What are the hooks to get people to sign up? people who join cults are not stupid, weird, crazy, weak-willed, or neurotic. Most cult members are of above-average intelligence, well adjusted, adaptable, and perhaps a bit idealistic. In relatively few cases is there a history of a pre-existing mental disorder. Cult recruitment is not mysterious. It is as simple and commonplace as the seduction and persuasion processes used by lovers and advertisers. So maybe “dumb” isn’t a good label. How about uninformed? See, this is what drives me crazy; the fact that people will join or stay with a group like the LDS church when what they teach is so totally bogus. The premises upon which the sect is constructed are all nonsense, however if someone simply accepts the sects explanations and doesn’t check things out they are subject to being duped. When it comes to the LDS claims about the Bible, I believe it’s the desire of the LDS member to believe what they are told that keeps them from having an accurate understanding of God’s Word. Besides not knowing about the accuracy of the text, Mormons are among the worst I’ve observed in having an accurate knowledge of how to interpret the Biblical text. This is because they look at God’s Word through the lenses of Mormonism. These lenses don’t make the meaning of Scripture clearer, they cloud the message. Although there are definitely some LDS, past and present, who meet the definition of cultist as mentioned above, most Mormons are simply true believers in what is now almost a mainstream religion. Hey, the Mormons fielded two reputable candidates for President in the last election cycle. Yes, they accept some bizarre teachings and overlook a lot of historical anomalies, but then so do a lot of other true believers. For example, to name but a few, many Catholics are quick to forget that the Vatican participated in a major cover-up of child molestation by many of its priests; and Southern Baptists don’t seem to remember their history of slavery and racism. And the same thing happens in politics: Republicans and Democrats alike seem oblivious to the “eccentricities” of their respective parties and candidates. Or our families: How many parents refuse to believe that their grown child could be a serial killer? It’s simply not accurate to single out Mormons as having cult characteristics and being blind to reality. A lot of us are the same way, although it may occur in areas other than religion. The important thing is to realize that the truth can work change in all of us if we will just open our hearts and minds to it. Mormons will eventually get the message if we approach them with respect and the facts, although that is admittedly difficult to do in a lot of situations. Christ never said it would be easy. Here’s the problem that I see with what you wrote. It reminds me a lot of what Mormons who used to do when they’d post here on a regular basis. They’d point to something, grasp any straw that they could find in Christianity or the Bible for example and say, “See it’s just like that!” The topic could be anything from polygamy to Smith’s seduction of a couple of fourteen year old girls. The tactic was devised to justify the facts/evidence relative to Smith or the LDS church. When we look at Paul’s letters to Timothy and Titus and then Jude’s epistle, there isn’t a lot of slack being cut. There is a very particular mind-set with Mormons and it results in a thought process that I think is fairly unique. In fact Dr. Walter Martin said, “Mormons are able to think rationally in all areas of their life except when it comes to their religion.” It is this form of thinking that keeps them stuck. Whatever we want to label it, perhaps naive, a rose by any other color…….. I really think that there is a significant number of Mormons who do believe that there is nothing wrong with the Bible , it has come thru the centuries to us today in remarkably decent shape . These Mormons have simply accepted the Mormon claim that their prophets are the ” living” prophets , as opposed to the “dead ” prophets of the Bible , so therefore new revelations , new truths , are to be expected from their leaders . The Bible contains many important truths of the gospel , just not current truths which must be accepted in order to understand important facts about God or salvation , and thus gain / maintain a right relationship with Him . since they arrived on the scene ( 1830 ) , it becomes evident that these men drifted further from the scriptural record in the Bible ( and Book of Mormon ) as time went on . What Mormon missionaries taught investigators in 1832 when Brigham Young heard them preach ” gospel truths ” and ended up joining their church , compared to what Brigham himself later taught as a church leader , is striking . Sadly, LDS failed to see, or refused to admit to themselves , how far their leaders had drifted , and thus they ended up fulfilling Matt 15 :14 . LDS are precious people who have been fooled into following the kind of religious leaders Jesus pre warned would come in the latter days — Mk 13:22-23 . That should break our hearts to pray continually for them . They don’t understand the motivation of the Christian in trying to lead Mormons to Christ. One of the first things a Christian has to tell a Mormon, if you want the Mormon to listen, is why you are doing this. They need to know that you care about them. Mormons see far too many people who one might consider “haters.” They will likely assume that Christians are haters, too, unless we’re very upfront in explaining our motives right at the outset. I wish they would harass us. It would be a perfect opportunity for discussion. I’d even let them pick the topic. They say this when Christians do outreach at their pageants like in Manti. The purpose for me is to lead Mormons to Christ. Leaving the LDS church is not my stated goal for a Mormon. I would agree that someone would gain a lot by leaving the LDS church but if they don’t gain Christ, what’s the point? They get to keep more of their money, get a ton of time back and aren’t subject to a hierarchical control group…..that is a gain I guess. But then they have to go and form a new social network and community. Some people may very well welcome this but still others are deathly afraid to strike out on their own. You’re absolutely right about Mormons becoming disillusioned and then rejecting all religion. It’s an easy thing to do. Usually they feel they’ve been lied to and betrayed by their Church, and they’re bitter. They’re bitter toward ALL religion. Somehow we have to persuade them not to — and I’ll say it again because you can’t be too redundant about this — we have to persuade them not to throw the baby out with the bath water. It’s a tale too often told, Mormons finding out that the LDS church hasn’t been straight with them. The (LDS) church spins this narrative that sounds truly marvelous to the point that it’s just way too good to be true. So when the bubble bursts it doesn’t do so with a little pop, it’s more of a BANG!! Why do the believers think they’ve been lied to? I guess it’s because they have been lied to even if it’s by omitting certain facts or if it’s because the narrative has been pumped up. But think about the basics like the claim that the Bible has been corrupted. That can charge can be easily debunked. Then there’s the “gospel has disappeared after the death of the apostles” bogus claim. That too is easily proven not to be true. But I think what gets to the LDS folks is finding out that Joseph Smith was bedding all of these women, including a couple of adolescent girls and already married women. What makes it worse is the very poor explanations that LDS church provides for these embarrassing facts. It would be good for the LDS who are questioning to go back to the Word of God, encounter Jesus in a personal way and coming to faith in Him, secure for themselves eternal life. you mentioned earlier about the difference between being out of the Mormon church compared to being set free by coming to Jesus . One is a ex Mormon , the other is a ex Mormon for Jesus etc . We are not here to simply want Mormons leave Mormonism . That would only be a hollow victory . It can a take long time for some LDS to transition out of Mormonism — especially mentally . Patience on our part is necessary . I wish everyone a blessed time today at Thanksgiving . If I thought the Bible were corrupted and cannot be trusted, I wouldn’t even mess with it. So that gets us to Mormonism. The sects that sign on to Joseph Smith’s fantasy are declaring that the Bible is not worthy of the high esteem with which it is held within Christianity. At the same time they say they use the Bible as one of their main sources of spiritual guidance, claim they are Christians, yet reject the Word and the revelation it presents. Instead they grasp on to a book that’s been proven to be a colossal boondoggle, invest in a prophet that taught there are many gods and that men can become gods, have members take part in rituals that come right out of the Free Masonry club, and ignore their prophet’s moral transgressions which include adultery. Sincerity, devotion and moral living will not provide for anyone eternal life. The only thing that will secure salvation is putting our faith and trust in Christ who gave His life for our sins. Depending on false prophets and a religious sect that teaches obedience to it is the pathway to salvation won’t cut it on the Day of Judgement. I can’t remember the exact words but in an exchange with a Mormon missionary the MM told me that he was “very satisfied” with Mormon prophets past and present. He was content with their leadership, what they taught and what they revealed. It made me wonder if he’d ever given this serious consideration or if he was just protecting his emotional commitment to Mormonism. Joseph Smith at the kick-off of his religion came up with a couple of claims one of which was that the gospel revealed in God’s Word had been lost. So if the gospel had been lost then the Bible was corrupted, “translated” incorrectly and therefore couldn’t be trusted. This from a “prophet” who supposedly “translated” ancient gold plates written in reformed Egyptian (?) by putting his seer stone in his hat and staring in the hat with his face buried (in the hat). Do Mormons ever really consider these claims? Not really. In order to sign-on to the LDS sect, for example, seekers are told to read Smith’s BoM and if they get a positive emotion that it’s God telling them that the (BoM) is true. That’s the basis for determining the veracity of the book. The feeling is the determining factor in establishing truth. This feeling is a prime technique in Mormonism for determining truth generally. So if someone gets a good feeling when reading the Bible, what then? Does that negate the claim that the Bible has been corrupted? If only the vast majority of Mormons would read intently the Bible , especially the New Testament , and compare what they find with what Mormon leaders have taught claiming as they do to be the modern day counterpart of Paul , John , i.e. officers in the exact same church and preaching the same gospel of salvation Paul preached etc . That claim has just enough truth in it to fool people into thinking that Mormonism is the true Christianity . LDS , please make time in your busy schedules to read the New Testament intently and see if the people ( believers and church leaders ) mentioned therein were Mormons . This is vital because truth matters .